Pune is a city of wonder, a city where every moment of life can be lived to the fullest. From incredible education, to employment opportunities and the beauty of nature, Pune is a city that offers you a well-endowed lifestyle. Today, Pune is one of the most loved cities in the country. The real estate market in Pune has grown over the years due to a rise in property demand. While competition between real estate companies has doubled, the numbers of residential and commercial projects continue to grow. Investing in Pune’s real estate today will definitely bring back good returns. If you are still contemplating, here are the major reasons why you should invest in this beauty city. The real estate sector in Pune has witnessed a steady growth over the years and property value continues to increase every single day. In fact, amongst the different metropolitan cities in the country, the market value of property in Pune has shown maximum increase. While constant development is different parts of the city is the major factor, the growth of manufacturing industries also plays a major role. Pune is packed with a number of top-ranking colleges and institutes, something that you will not really find in other cities. In fact, Pune is a city where individuals from around the country and the globe move-in to study. Talk about employment opportunities and Pune offer them in plenty today. A major growth in Pune’s IT sector has literally transformed Pune into a new IT hub that homes renowned MNCs. ‘Employment opportunities’ & ‘education’, these 2 elements have an indirect, yet positive effect on Pune’s real estate market. Over the years, Pune has gone through major development in its physical and social infrastructure. 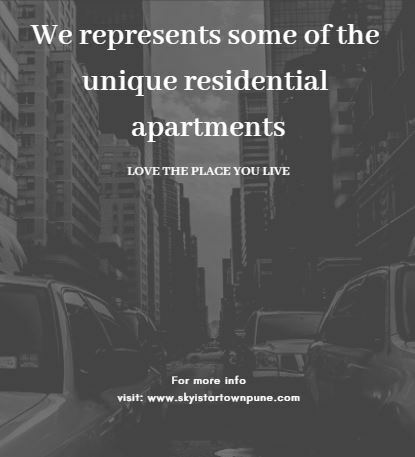 Connectivity to other locations in Pune has been simplified to a great extent and an increase in commercial activity has increase to a great extent. Without a doubt, there is nothing that you cannot find in Pune today. Improvement in infrastructure has a direct impact on the real estate market in Pune, leading to more individuals moving into Pune and enjoying a convenient lifestyle. Unlike other cities, Pune caters to the needs of every individual looking to purchase residential space. From low-cost housing, to superior luxury living, this city offers a wide range of projects that caters to different budgets. Due to a wide range of facilities and conveniences, township projects are the recent trend in Pune’s real estate market. 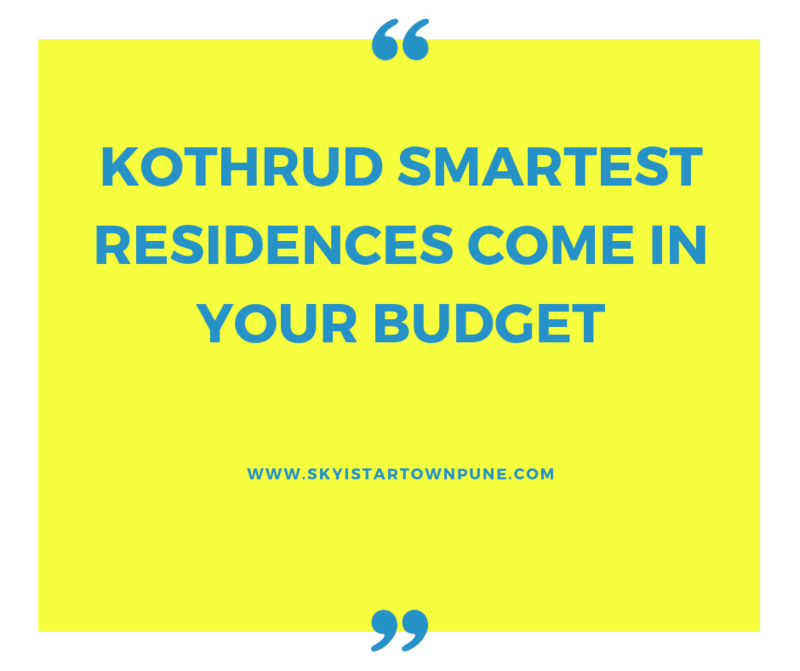 No matter what your budget may be, you will surely find a fabulous residential space in Pune. The government of Pune has planned a ‘Smart City’ model of development catering to residential projects that will offer social, economic and environmental sustainability. This model will ensure that every individual experiences a convenient lifestyle each day. While the investment options are many today, Skyi Star Town by Skyi Developers is a new residential township project that you should definitely consider for all that it has to offer. Located at Paud Road in Pune, this CRISIL 5-star rating development is spread over vast acres and offers 1BHK, 2BHK apartments that are designed to satisfy every requirement and taste. The apartments are spacious, provide beautiful air-flow and provide natural lighting that will satisfy your soul. This development also offers a refined range of external amenities for a life of leisure and comfort. They include a clubhouse, sports facilities, play-area for kids, swimming pool, gym, wide open greens with more than 40 species of birds, landscape garden, multipurpose hall, 24hour water supply, waiting lounge, bus bay for kids and so much more.